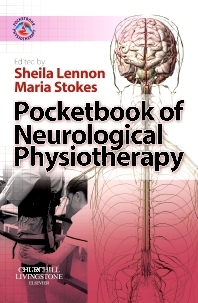 POCKETBOOK OF NEUROLOGICAL PHYSIOTHERAPY is designed for working with people with neurological problems in any clinical setting. Written by a team of expert contributors, it offers an international perspective on core concepts, irrespective of philosophical frameworks or health care systems. Rapid access to essential information is contained in one concise volume, providing expert knowledge and advice at your fingertips. This pocketbook is a valuable guide to evidence-based practice for student physiotherapists and their teachers, as well as qualified clinicians.